Low-pressure crack injection supplies with Epoxy, Polyurethane foam, static mixers, feed hoses, mixers, structural foam products for contractors and homeowners. 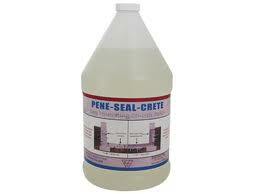 Products for repairing slabs / concrete floors in residential and commercial applications. 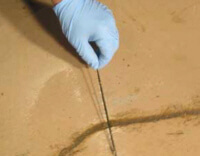 Slab crack repair. Reinforecment kits . 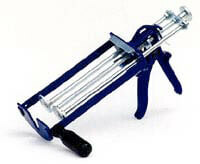 Tools required for wall and slab repair crack injection systems manual and phunumatic. 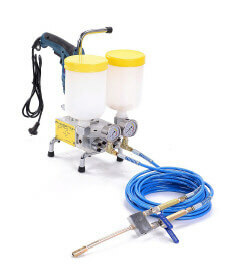 Concrete sealers including products that can reduce transmission of vapor and radon gas through concrete.Radon testing equipment. The EmeSeal Crawl Space System creating a healthy, energy efficient home. Reduces energy costs and protects homes against dangerous moisture, toxic mold, soil gases (including radon), and harmful air borne allergens.